www.hardwarezone.com.sg - National Steps Challenge™ Season 4 is here! Collect FREE heart-rate monitoring fitness tracker! The Careech version can used when cycling or not?? Den simi uselesd tracker HPB give... Cycling is more shag then walking okay!! A steps tracker is used to...measure steps and the calories burned and distance covered for doing that. Cycling is not related as you only pedal. When I use my Apple Watch to track cycling workouts, it measures heart rate, distance covered, calories burned and your cycling route but steps largely remains the same as before you cycle unless you swing your arms or walk across traffic light crossings. Then the calories function in Careech? Will track how much burnt by cycling or not?? 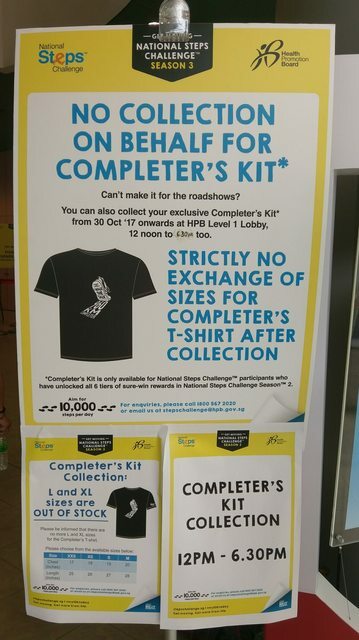 I read earlier that if we complete now, still can get completer kit. But HPB hotline pinoy tell me cannot. Just put in the pockets of your shorts when u cycle. I think up n down motion of your legs is sufficient. Give it a try. Gonna go hpb later to collect. huh? so is can or cannot? Can. I tried many times.